Vuvuzelas-Do they ruin the game? The word ‘vuvuzela’ has to be the most controversial word that is buzzing around the world cup. Everyone has an opinion about this word and it has been the topic hitting the headlines all over the world. Such a heated topic is perfect for the ‘esl’ class and it will be interesting to see how it is effecting the students. As you can see the campaign is growing by the day. Should we embrace this passion for the vuvuzela, which is a tool of cultural celebration and ask the protestors to buy ear plugs and shut up? Should this residule noise created by the bee flat hornet, which is spoiling our viewing pleasure be banned? Students watch the following clips and answer questions about each clip. After watching the clips they have to write an opinion about the vuvuzela. Please click below for the accompanied worksheet. Please click on the title below for the ‘guardian’ news article on the vuvuzela debate. Students read the article and answer some questions about it. Vuvuzela jokes are everywhere: Here are a couple of funny clips to leave you with.. I hope you liked the above activities. If you have any other suggestions or opinions about the ‘vuvuzela’ then please write a comment below. Please subscribe to my blog to follow the imaginarium. Bring out the vuvuzelas as the world cup has started and it’s time to join the party. Click on the title below to download the accompanied worksheet. Show students the following interview with Snoop Dogg. Ask the students if they know anything about Snoop Doggy Dog. Inform the students that they have to try to write down as much as they remember from Snoops answers to the world cup questions. Watch the clip a few times. I would now like to leave you with my favourite world cup clip. This is very impressive and really expresses the multi cultural aspect of the World Cup. The party has now started as we look forward to the excitement of this wonderful event. What country is at the top/bottom of group x? Ask the students to make groups. Ask the groups to stand in separate lines in front of the board. The student at the front of the each group is given a pen/piece of chalk. Students have to write down all the countries in the world cup. The first student from each group writes a country and then passes the pen to the next in line. Give the students a time limit(3 mins) and see how many countries they can write within the time limit. Each group checks the ‘wordle’ to see how many words they managed to get and deduct points for wrong spellings. 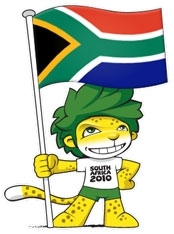 Ask the students what the mascot is for the South Africa World Cup. Why do they think that a leopard was chosen to represent the world cup. Ask the students if they can remember any previous world cup mascots and if they can, have them try to describe what they looked like. Show students the picture of the previous mascots and ask them what country the mascot represents. Click here for an article on the 10 dumbest World Cup mascots. Ask the students what their favourite ‘mascot’ is and why. Find out which is the most popular mascot within your class. Students have to design a mascot to represent their own country. Divide the class into teams. Ask the students if they know what countries are in each group. Have a contest to see which team can write the countries in each group correctly. Second half – Video dictation. Watch the following video by the legendary; Mark E Smith. His vocals are usually difficult to comprehend so it is very helpful that there are subtitles for the lyrics. Ask the students to write down the words that they see. If I haven’t already told you, the team I will be following this World Cup is shown in the clip below. Ask your students who they predict to win the world cup and what team they think will actually win the world cup. Put their predictions on the wall and check if they were correct at the end of the cup. A British music magazine, ‘the NME’ recently did a feature on who the musicians predict will win the world cup. Click here from some predictions by musicians. Ask students to listen to the celebrities and have them write down the countries each artist thinks will win. I have nostalgic memories of collecting stickers during the world cup when I was a wee boy. I was always really excited to try and get as many stickers as possible. It was always fun swapping stickers with friends. You could hand out world cup country stickers every time a student answers a question correctly. Give students stickers outside the classroom as well, if they ask you questions in English about the world cup. I usually use images I find from ‘clipart’, laminate them and put double-sided tape on the back. You could make a sticker sheet for the students to collect their stickers on. MES English has a great selection of ideas for stickers and sticker sheets and has recently put up some great football stickers. 1. How much do you know about your countries team? Students are given quiz questions to try and answer. You could turn the class room into a ‘question of sport’ style quiz show. Divide the class into groups and ask one student from each group to stand. The student who gives the correct answer first gets points for their teams. If they don’t know the answer then pass to the next question. At the end of the quiz the students watch the video clip to see what the correct answers are. I live in Japan so I have created questions based on the Japanese football team. Just adapt these questions to the country you are focusing on. 17. What is Takeshi Okada’s main target in this world cup? 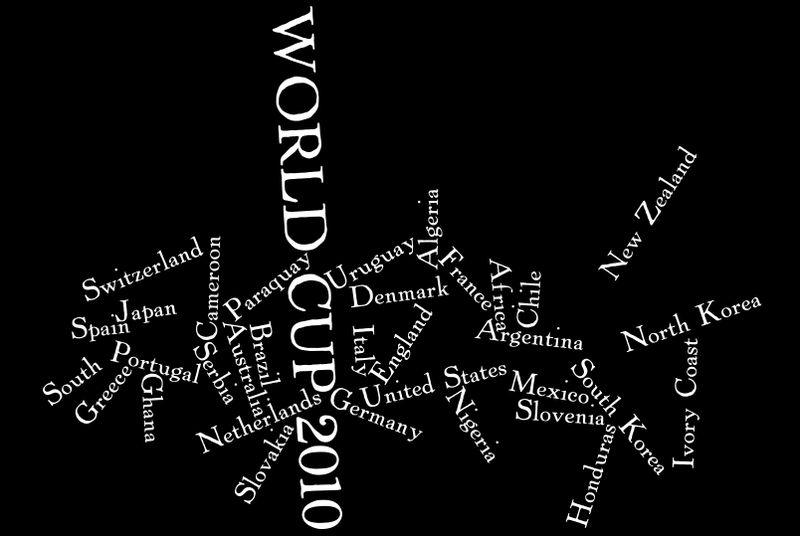 For a similar introduction clip to the other teams in the world cup then click here. For more information on the team and material for a possible reading exercise then check out the BBC team guide here. 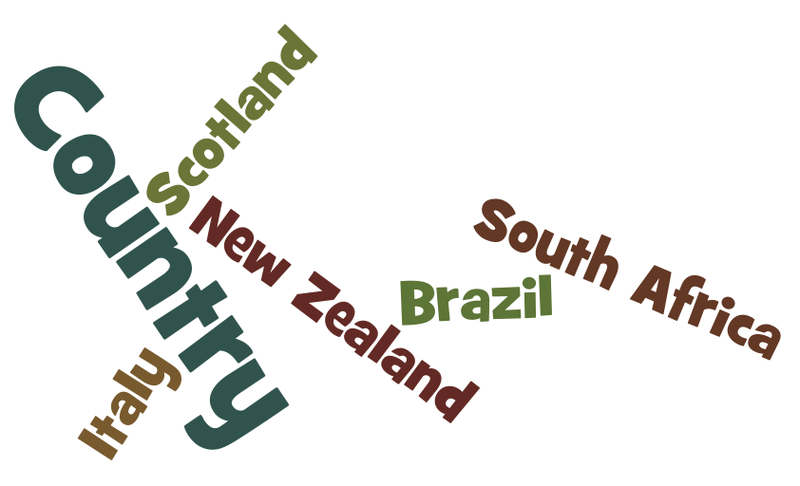 Project idea : Divide the students into groups and ask each group to choose a different teams country to research. Each group has to make a poster about the country. Project idea 2 : Students make a wall chart of the World cup schedule and make sure that a different student updates the chart with the scores each day .